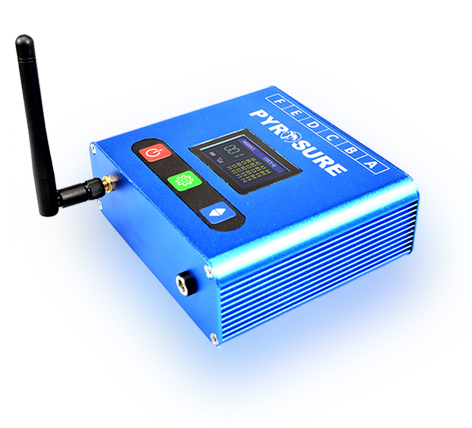 The PyroSure system uses Mesh Network technology. This means that the network is not only between the modules and the controller, but also between each modules. When the action is sent from the controller, each module will also pass this data into all nearby modules and double check the timing and integrity. 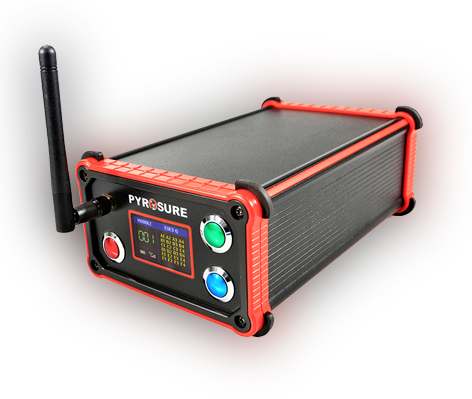 The PyroSure 2 Controller is equipped with a built in Wi-Fi module, this allows the whole system to support automatic software updates when you connect to nearby Wi-Fi. With newly developed functions, this makes your devices even better overtime. Pro modules offers professional dmx stage control and canbus wired communication. 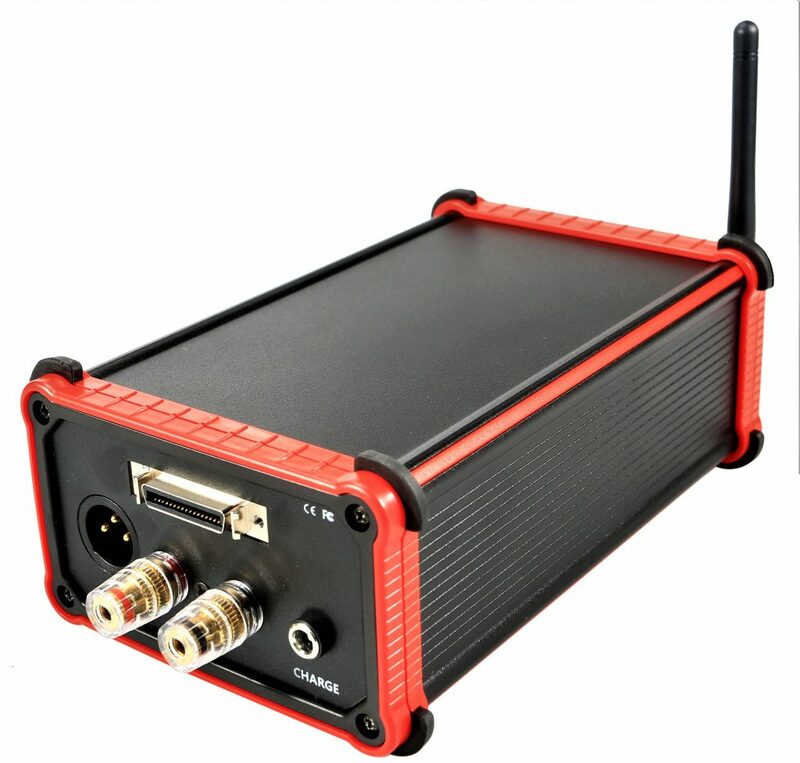 Wireless Modules are compact and manufactured in extruded aluminium. Each module communicates with the Controller, stores information and processes commands. It has one function, to gather information on up to 24 cues and fire them exactly when required. In doing so, in the background, it relays information for up to 199 other modules in the network. The LED display screen provides information on signal strength, battery power and available / connected cues. Cue continuity can be checked simply by turning the module on which sends a 2 mah current through every port. A temporary loss of signal will not affect the functioning of this self contained unit and is detectable by the Controller. Power is supplied from built in Li-ion 18650 batteries providing 16 hours of operating time. Embracing the latest engineering designs has allowed us to have this function. 90000 uF capacitors are used to provide the fire power, producing up to 28 amps at 24v. Each port can fire hundreds of standard igniters in one hit, upscaling to allow any module to fire many thousands of such igniters in one display across the 24 cues. Accuracy of timings for firing cues is provided MOSFET switches,3 Levels of safety security: 2 level electronic switch plus 1 level physical relay switch. Each Module has cue addresses in 6 groups of 4 connectors A(1-4) – F(1-4). Programming a Module is simply done by the main Controller unit transmitting a set of instructions in milliseconds. Confirmation from the Module that it has received the instructions is available. *10000 meters range is for the Can-bus wired connection. 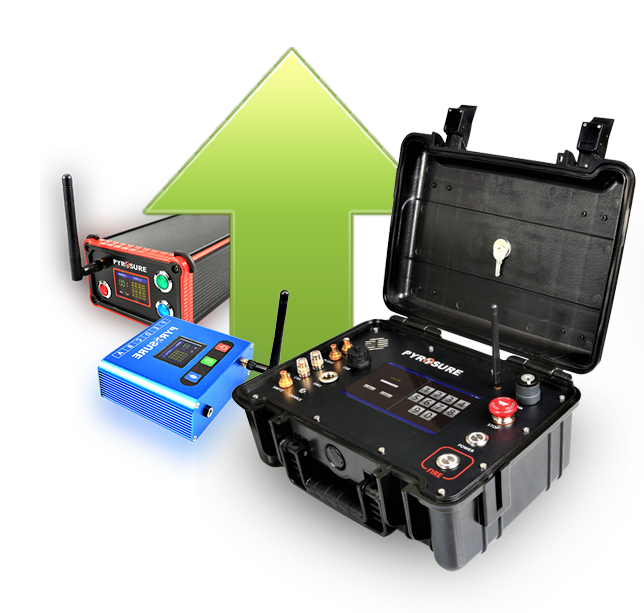 In ideal wireless condition, pyrosure 2 can have stable connection between modules up to 2 km in line of sight.